The Adam Daniels Project - Its "on!" Coaching discussions between level three coaches Adam Daniels and Cliff Scherb as they kick off a new racing project together for 2019. Robin Galaskewicz has been healing athletes for 20+ years as an Egoscue therapist and as part of our inner circle on Team Tristar Athletes. Learn more about his work in healing injuries. We interview top Tristar age grouper Tom Aaker as he PR’s and moves his way up the all world athlete ranks. Quietly snagging top 10’s at all Ironman and 70.3 races he has entered in the past two seasons. Not bad considering Tom is 10yrs into the sport and keeps on getting better! We sit down with Tristar Coach Megan Tobin and learn more about what it takes to be an athlete and at the same time coach. Congratulations to Durst Breneiser who PR’d big time this weekend at Ironman Maryland shaving off a huge 2.5 Horus from his previous Ironman distance best. Durst was collected and executed to make this day happen. Learn more about his training and the great day at Cambridge. Pre-Race: Day started well, woke up a little earlier than I wanted but felt primed and ready. The previous’s days wind had died down and on the way to transition the weather was perfect. Checked in the special needs bags that I never ended up using, got some last minute encouragement from the support crew and headed to the swim start. Swim - Felt good in the swim but often found myself kind of in no man’s land with no one to draft off of. The sun also made it difficult to see the buoys til the first turn. Add on top of that the swim course was long, looked like on average about 500 yards long. 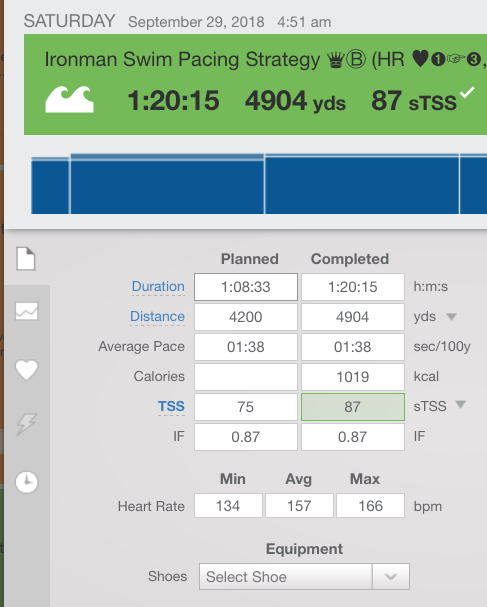 Stuck to the race plan, executed the pace, kept it mentally together even with the longer route, got out of the water and started toward the bike. Bike - This was a FLAT course, unlike where I train in the mountains. The nice part about training in the mountains was that the elevation drop to do the race gave me a little extra in the tank. Crushed the bike, some winds but nothing too bad or exciting to report. First sub 5 hour century bike ride and headed to the run. Run - Those first steps out of transition even that first mile tells you exactly where you are at. Turned my watch so it just showed heart rate and would notify me on mile splits. That strategy worked perfectly. Aid stations were amazing and once again a flat course. 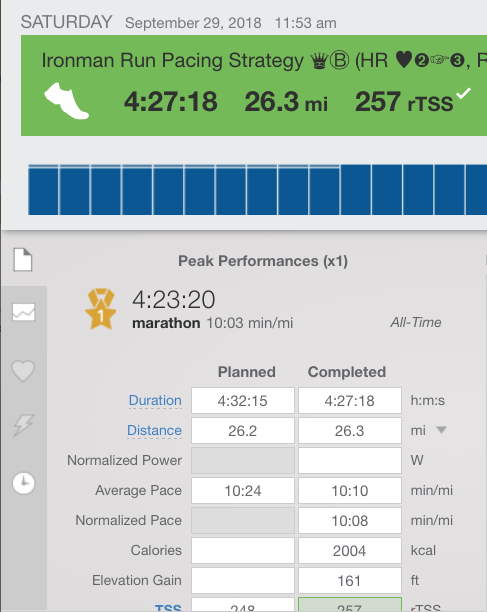 Durst, managed to beat or match our expected pacing and Raceday targets. Durst was a pacing archer, having little deviation from the plan and it paid off big time. Our Tristar ELITE Coaching represents the very best in one to one instruction with our pro coaches. We start off by getting to know you one to one. Interview wth Tristar Julian Summers, your doing how many Ironman this year?! Two this weekend?!! Julian Summers, a man on a mission! Coach and athlete interview before his Ironman Maryland and Chattanooga race-s this weekend en route to Ultraman and Kona legacy. Samantha Firstenberg races the USAT Nationals Olympic and Sprint triathlons this weekend. The following is an interview and coaching review of her weekend performances.